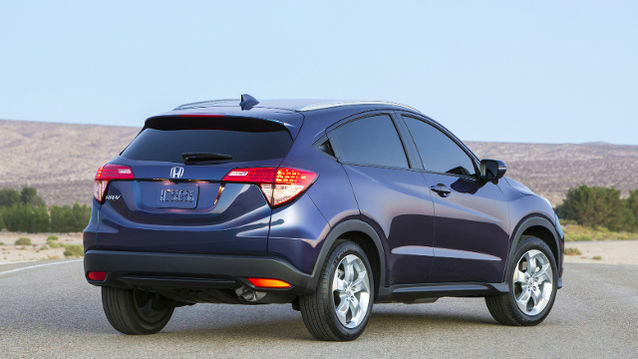 The 2016 Honda HR-V Crossover has been unveiled at the 2014 Los Angeles Auto Show! And we are proud to say that as soon as the HR-V is available in Canada, Henley Honda will be one of the first dealers to carry it! The build of the 2016 HR-V takes after both the Honda Fit and the Honda CR-V. During the reveal, the HR-V was called the ‘Swiss Army Knife’ of tiny crossovers. This name definitely suits the vehicle, as it has so many features to offer. Moving inside the HR-V, notable features include a CVT automatic transmission will be available with both front-wheel drive and all-wheel drive, while a six-speed manual option will also be offered on front-drive models only. Also, the second-row seat, also known as the “magic seat”, can be folded or flipped to fit all sorts of items for storage. With the back seats folded down, the HR-V has 1665 litres of storage space. The HR-V also features four-channel ABS brakes, Brake Assist, Hill Start Assist, Vehicle Stability Assist with Traction Control, a full complement of air bags, large rearview mirror and a back-up camera. Moving under the hood, power comes to the vehicle in the form of a 1.8-litre 16-valve 4-cylinder gasoline engine. It delivers 138 horsepower at 6500 rpm and 127 lb-ft of torque at 4300 rpm. The engine will incorporate Honda’s i-VTEC variable valve timing system. The 2016 HR-V should reach our showroom floors this upcoming spring. Pricing has not yet been announced, but it is estimated to start somewhere between $14000 and $26000. Henly Honda will keep you in the loop when it comes to the arrival of the HR-V in the Great White North. Keep checking back for news!